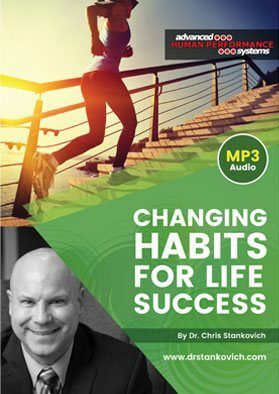 From Dr. Stankovich’s exclusive ‘Life” Series, Changing Habits for Life Success is designed for anyone looking to improve their life by eliminating old, “bad” habits while beginning new, “good” habits. On this program Dr. Stankovich will discuss a number of important concepts, including behavior modification and why people develop habits, how emotions impact habits (like emotional eating), triggers that immediately impact subconscious thinking and behaviors, how perception impacts habit development, plus much more. Don’t waste another day wishing you could change the habits in your life when you can learn the tools that will help you make these long-lasting, healthy, positive changes.